On October 1, 2017 as I listened to Jagmeet Singh make his acceptance speech as the newly crowned leader of the National Democratic Party I was struck by how far Canada has come. He was the first visible minority to lead a national party, and pretty much the first words of his acceptance were to acknowledge “that we are on the traditional land of the Haudenosaunee, Wendat, Anishinaabe and the territories of the Mississaugas of the New Credit.” Wow. It can be customary between one First Nation and another to acknowledge the host Nation Peoples and their traditional territory at the outset of any meeting. The long struggle by First Nations to maintain traditions has been tough, but through it all this basic protocol has survived and thrived. 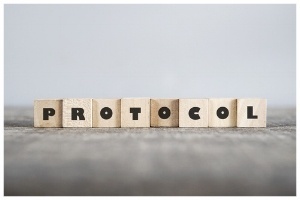 Respectful acknowledgement of First Nation protocol is increasingly becoming the norm at the beginning of meetings and events - but some may wonder why. Because doing so acknowledges that you recognize that you’re on the land of a Nation that has had a relationship since time immemorial with that land. It is a sign of respect and recognition, and you can’t go wrong with respect and recognition. You are acknowledging the ties the descendants of those First Peoples have to the land - its importance to their culture, ceremonies, and traditions.